Took this after a long walk home after missing my bus, worth it for sure! Writing up my second-round up post feels unreal, I can’t believe how quick September went by! September always tends to be quite fast-paced for me as a student and now, a member of staff at University because on both sides of the spectrum it’s always busy with preparation for the new term. Despite being busy and everything going by so fast, I’ve found time to look up from my busy schedule and use the time I’m not working into activities that are valuable to me. I had a relaxing weekend away from my little town of Sheffield to Nottingham and Loughborough. Finally, have a steady fitness routine in place! 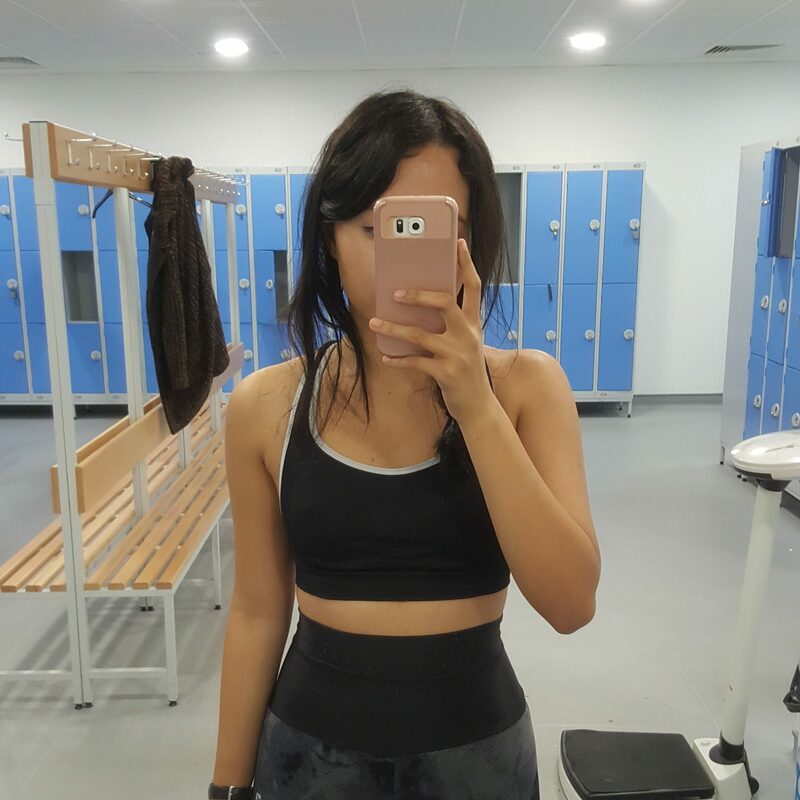 I’ve already seen results from working out, for example, I can fit into some of my favourite clothes I’d put away for a bit with the hope of getting into them again – just under 6-8 weeks, I’ve done it! I’m getting stronger – weight by weight! My placement #1: One thing I really enjoy, as with other jobs I’ve had in the past is getting comfortable with the general processes of the everyday work environment, much so that I have started to feel confident with handling certain tasks with little or no supervision. Have a finalised Capsule Wardrobe for this Autumn/Winter season, I’ll blog about this in the future! Blog as often as I can (I’ve started slipping since summer officially ended), going to aim for one post a week. Both have reminded me to add value into my life (with the things I buy, buying mindfully rather than “because I’m unhappy and materials make me happy” mindset) and of course, not to be too hard on myself. I enjoy showing compassion for others, sometimes we have to look at ourselves and do the same. Beauty: Mario Badescu products are my new skincare routine, they make me feel clean and refreshed! Have you heard of Mario Badescu before? Don’t get mad. Don’t get even. Do better. Become so engulfed in your own success & happiness that you forget it ever happened. Sounds like a pretty good month! Congrats on losing some weight too! I guess I’m not the only one who thinks September went in the blink of an eye. I am so happy that you have gotten into a steady fitness routine and you look amazing! I’m glad you were able to get out of town for a bit and enjoy some other sights that the UK has to offer. Seems like you had a great September. It’s so good that you managed to make a routine and you can keep up with it. I am trying to do that for so long but I always end up giving up. Is it me or does September always go by REALLY quick? Good luck with your October goals! I know you’ll smash them. I haven’t heard of those books, but they sound like good, positive reads. I may have to check them out! September was pretty busy for me too, so I can’t believe it’s October now. I hope October will be great for you too! I heard about mario badescu before, yes! never tried them though. some of my favorite beauty vloggers talked about mario badescu 😀 there’s no mario badescu in where i live so i can’t get samples. I love that you set goals for yourself! I feel goal-setting makes you much more productive. I’ve also found that when I set goals and time lines for myself, I’m more prone to finishing them. I’ve actually used a couple Mario Badescu products! I liked them but have a tendency to try out different products instead of sticking to one, haha.